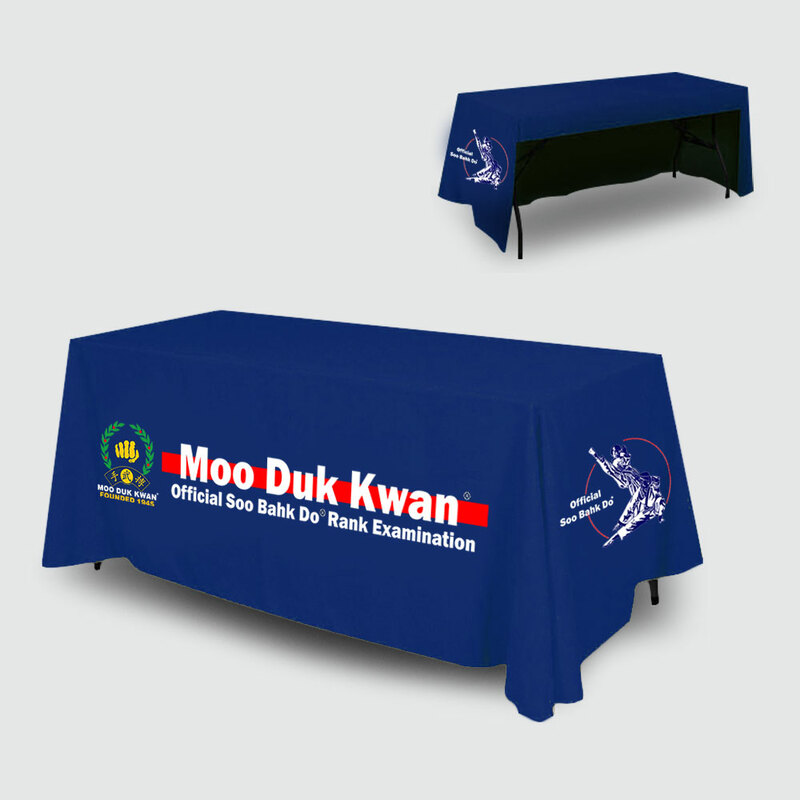 Official MOO DUK KWAN® table cover for rank examinations by MOO DUK KWAN® Certified Instructors. Hi-quality fabric sewn to a perfect custom fit for a six ft table. Open back for comfortable seating for examiners. 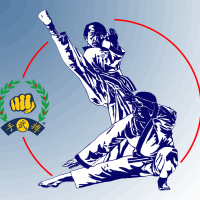 Great gift idea for your Moo Duk Kwan® certified instructor or certified school owner.